One Sure™ is an independent insurance broker who provides free, no obligation insurance quotations on all motorhome models. 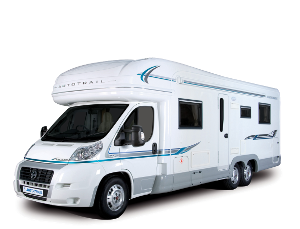 So no matter if you are looking for insurance cover for a 3 birth Ford Transits or a 6 birth Chausson, we will be able to compare over 30 of the leading insurance providers in the UK to ensure that you get the very best motorhome insurance policy and price. By following some of the advise listed below you could reduce your premiums on your motor home insurance and get a much cheaper motorhome insurance quote. The average call time to obtain a competitive motor home insurance quote is only 5 minutes. Unlike online comparison websites, our team of motor home insurance consultants will be able to guide you through your quotation and include those products which are relevant to you and your circumstances.